There will be an Introduction to the Advanced Placement Program (AP) for parents and students interested in taking Advanced Placement (AP) classes in the coming school year. The discussion will provide a very real look at what those courses are, benefits, AP exams, next steps, and a question and answer session. You'll hear from both teachers who teach the courses, and students who have taken or are currently taking these courses. 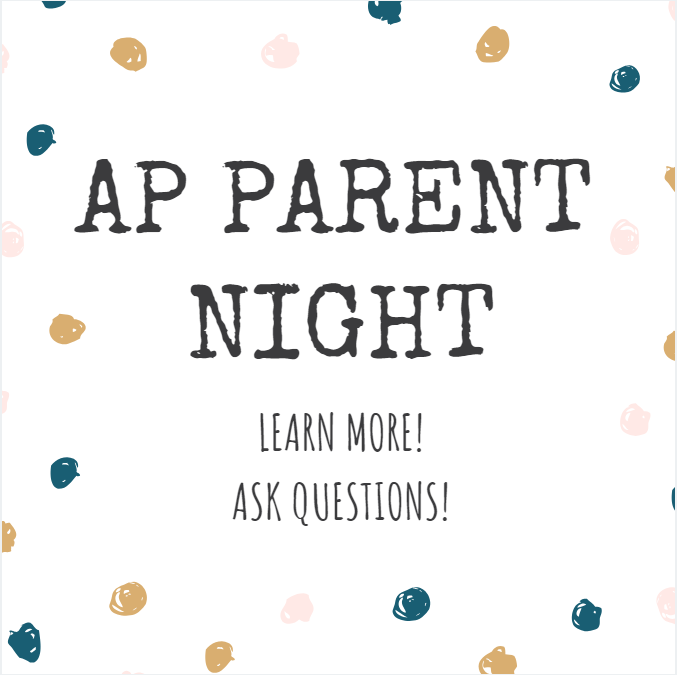 If you believe that your student will be interested in the AP Program, we encourage you to plan to attend as this session is only offered once per year.